Custodial history: The collection was assembled over time by James Lawrence and donated to Special Collections sometime between 1988 and 2010. Conservation notes: All items placed in acid-free folders within archival boxes. Metal fasteners have been removed. 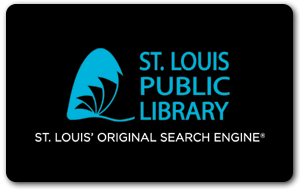 Scope and Content: The St. Louis Post-Dispatch, by radio from station W9XZY was the world’s first daily newspaper transmitted by radio signals to facsimile printers located in homes. The daily special edition of the Post-Dispatch was published for two years beginning on December 7, 1938. KSD, which was owned by the Post-Dispatch until 1977, operated the experimental facsimile station W9XZY out of the Post-Dispatch Building. The newspaper was dubbed the “radio edition” and was transmitted via ultra-high frequency. Remarks: Clippings were added to the collection by Special Collections staff in 2014. 1 slim Hollinger; 0.2 cu. ft.
1/3 “The world’s first radio daily newspaper: an exhibit by the St. Louis PostDispatch.” 1939. Brochure distributed at the 1939 New York World’s Fair.